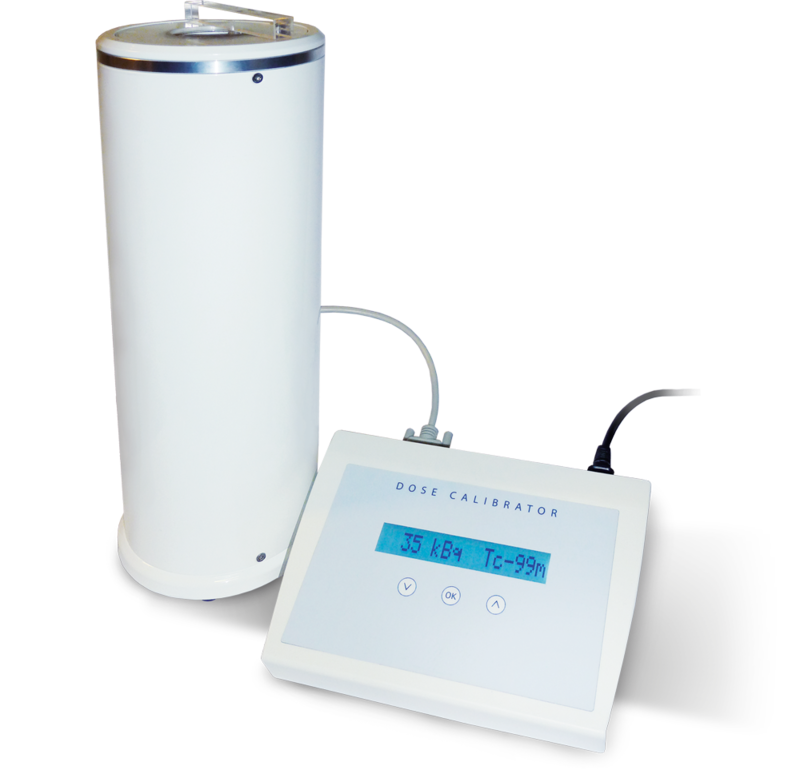 The IBC DOSE CALIBRATOR is a completely digital dose calibrator with a reading software. The ionisation chamber can be connected directly to a PC with Windows. Both the reading system and the control system are managed by the IBC-LITE reading software. Like all Comecer dose calibrators, each model is used in combination with a completely digital VIK-202 or VIK-203 model ionisation chamber. The IBC-LITE software offers an easy, intuitive touch screen interface that supports all the functions needed for dose calibration in a Microbiological Safety Cabinet and in preparing single-patient doses. The IBC Dose Calibrator is extremely suitable for Radiopharmacy use within a Nuclear Medicine department, as it can be easily integrated into any type of Microbiological Safety Cabinet. 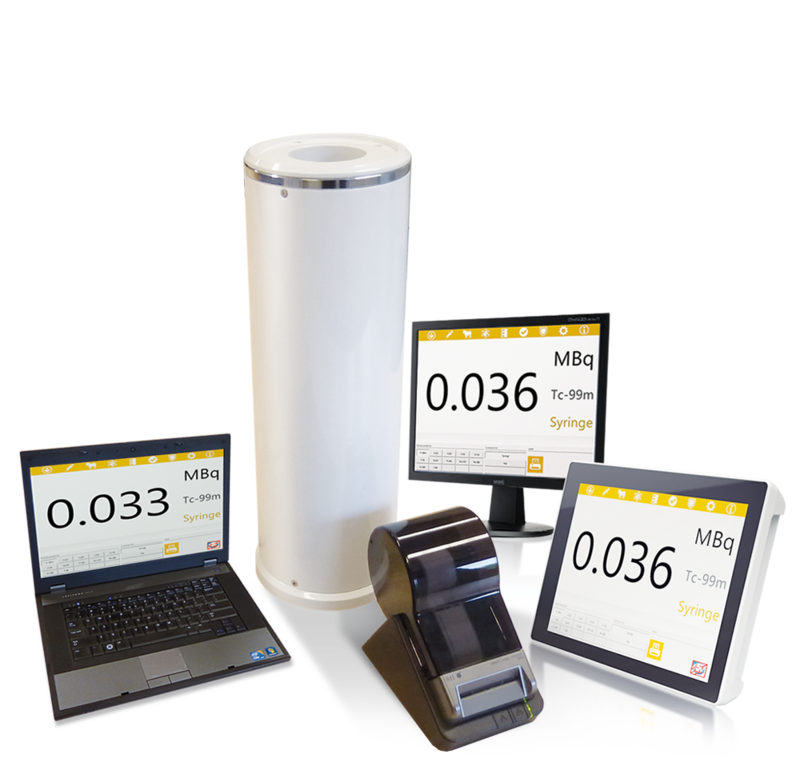 The IBC-DOSE CALIBRATOR supports all printers that use Windows drivers. The labels can be defined by the user via a dedicated tool in IBC-Lite that is complete and easy to use. The IBC DOSE CALIBRATOR has CE Medical Device marking and is FDA approved. 1x USB interface for the optionally label printer. IBC-LITE can be updated to the software versions to manage activity in Nuclear Medicine and Radiopharmacy: IBC-Nuclear Medicine and IBC-GMP Radiopharmacy. The IBC-Nuclear Medicine is a client-server based software environment to manage the daily routines in a Nuclear Medicine department. The software guarantees full traceability from ordering stock to injection of the patient dose. The software also offers the functionality to implement user definable protocols for a guided and controlled workflow to standardise the preparation process from stock to patient dose. The IBC-GMP Radiopharmacy is a state-of-the-art solution based on client/server to manage the daily routine in radiopharmaceutical production centres that require “GMP” traceability. In these centres, the IBC-GMP Radiopharmacy management system offers a high level of integrated automation to standardise processes. 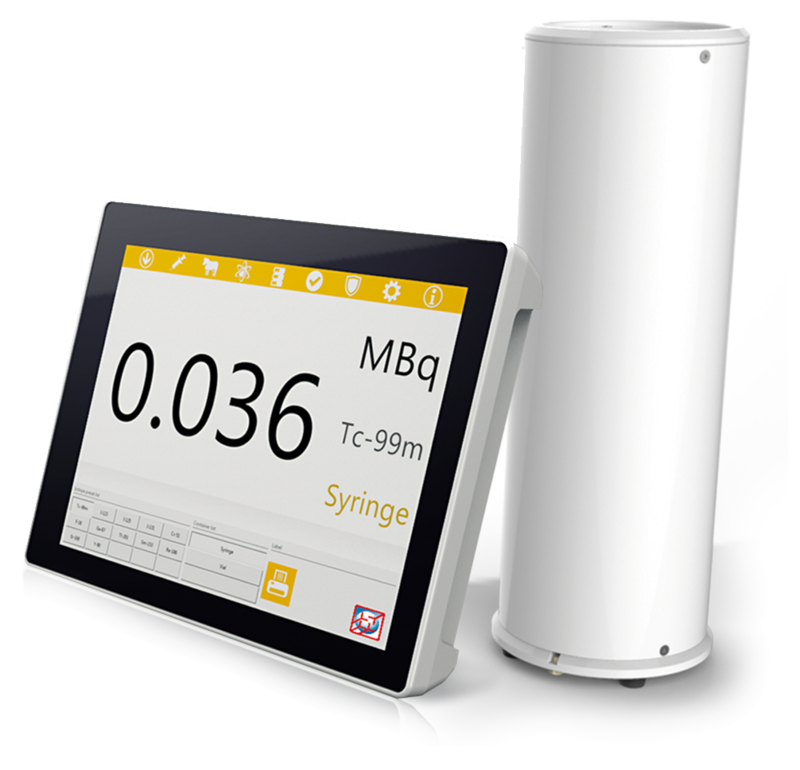 In Radiopharmacies, the software supports order management, preparation and dispatch of ready-made multi-dose vials and/or syringes. The software guarantees full traceability from ordering stock to the end product. Today’s GMP guidelines dictate that all processes need to be reported, validated and justified. Thanks to IBC-GMP Radiopharmacy, the highest level of GMP compliance can be integrated.